This year, thousands of acts from across the country submitted videos at www.youtube.com/agt , hoping for a chance to perform live on America’s biggest stage and for a shot at bypassing the competition to become a Top 24 act. 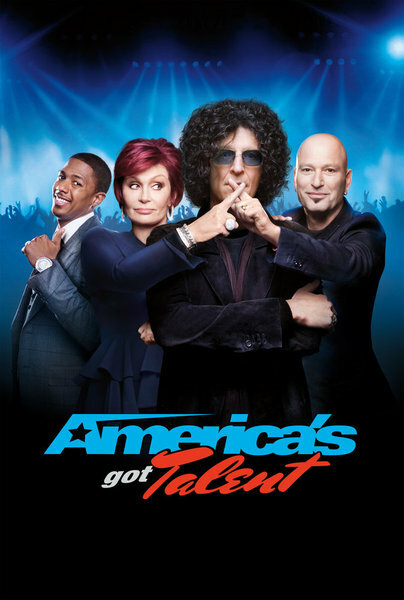 Unlike any other talent competition, “America’s Got Talent” is the only stage that encourages the best talent from all areas, at all times in the competition, giving fans the power to fast-track their favorite new acts into the semi-finals. Previous “America’s Got Talent” YouTube auditions have resulted in the discovery of young opera sensation Jackie Evancho and Chicago-based BMX racer, Matt Wilhelm. Additionally, American pop duo Karmin will perform a mash-up of their platinum hit single “Brokenhearted” and their new single “Hello” on Wednesday night’s results show. Comprised of real life couple and former Berklee College of Music students Amy Heidemann and Nick Noonan, Karmin catapulted onto the scene with high profile appearances on “The Ellen DeGeneres Show,” “The Tonight Show With Jay Leno,” “Live with Kelly!” and “Chelsea Lately.” They released their first album, Hello, this year and spent the earlier part of the summer touring around the country and headlining festivals, including a performance for a crowd of more than 100,000 people in San Francisco last month. 7 in Unison is a dance group composed of seven girls, Macy, Mady, Allie, Brandi, Christine, Ashlee and Linzey from Orange County, California. Ranging in age from 14 to 15 years old, the girls have all danced since they were 3-years-old. They have won many national titles, including the World Dance Championships. They share the same goal of continuing dancing careers in the future. Reverse Order is a musical group composed of brothers John and Cruise Russo from Hackettstown, New Jersey. Originally a small town “garage band,” Reverse Order traveled around the country in a mini-van hoping to bring powerful uplifting music to audiences around the country. Being on America’s Got Talent is a dream come true and gives them the chance to reach more people than ever before. Drew Erwin is a musician and high school student athlete from Memphis, Tennessee. Two years ago he began watching “how to” videos online and taught himself how to play the piano and guitar. He began playing for friends and at church and school events, posting his performances online for others to view. He did not even know his parents submitted his video until he found out that he had been selected as a finalist. Bria Kelly is a 16-year-old singer and musician from Virginia Beach, Virginia. She has been singing and playing guitar since age 11, and has performed the national anthem over 40 times. She writes her own songs and has opened for numerous well known country bands already in her young career. Frank DellaPenna is Cast in Bronze, the only act in the world that features the traveling carillon, an instrument of 35 bronze bells. DellaPenna has been performing for over two decades and hopes to spread his love of the carillon by demonstrating its versatility with other instruments. Rome Dance Cheetah is an award-winning air guitarist from Chicago, Illinois. He named himself “Romeo Dance Cheetah” because of his fast, passionate, strong and agile musical style. He has an enduring love for music and has played around the world, including Finland. Melinda Hill is a Los Angeles comedian who not only stars in, but writes and produces her own material. She has appeared in numerous TV shows and currently co-hosts a podcast with Author Jillian Lauren “Eat My Podcast” and works on her own web series. The Magic of Puck is a stage musician from New York. A full time entertainer, Puck has been conducting magic for over forty years and has performed on cruise ships and corporate events. He currently resides in Saint Cloud, Florida with his wife and three children. Academy of Villains is competitive dance group from San Francisco, California. Established in 2009, Academy of Villains is directed and managed by of Pharside and Krystal Meraz. The group has placed in every competition they have ever entered and were crowned USA Champions at Hip Hop in 2012. They denote their success to hard work, determination and drive. Clint Carvalho is an exotic bird specialist and entertainer. Born in Honolulu, Hawaii, He began performing with birds at a young age and eventually moved to Las Vegas to begin his entertaining career. After taking time off to start a family, Clint is excited to return to the stage and show America his wild and unique talents. Rudy Coby is a Los Angeles based magician with unique performance elements. His original magic creations have brought him all over the world and leave audiences feeling as though they stepped into an animated comic book. After a 15 year hiatus, Coby returned to performing and will compete alongside 11 other YouTube acts for a chance to make it into the semi-finals. Wednesday’s August 15th Results Show To Feature An Exclusive Look at A Day In The Life of Howard Stern and a Performance from American Pop Duo Karmin. Welcome back America’s Got Talent! Below are three promos – including one brand-new (hilarious) Worst Of compilation enjoy! 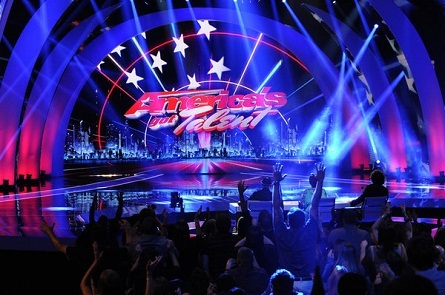 AGT performers return to the stage, hoping to transform their wildest dreams into reality. Take a look at some of the most dreadfully memorable performers from Season 7. The performers of America’s Got Talent can’t wait to get back onstage. Watch America’s Got Talent Tuesday at 8/7c on NBC.